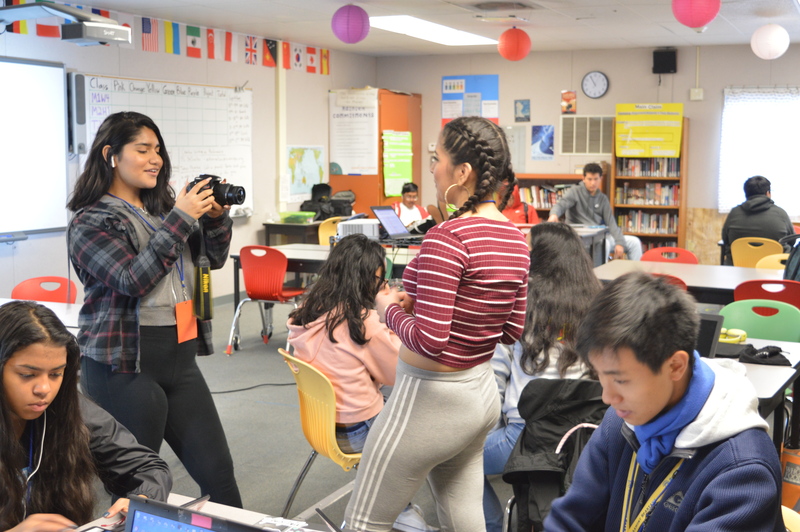 Summit Public Schools has been open for 15 years, and this is the first time the course Ethnic Studies has ever been offered at the Summit Public School: Rainier campus in Eastside San Jose. Ethnic Studies is an interdisciplinary curriculum that teaches about other ethnicities’ significant social impact on U.S. history. Here at Summit Rainier, we welcome the curriculum with open arms; however, in places like Arizona, politicians did not only dislike the idea of this class, they fought to ban it and succeeded in doing so. In class, Rainier students watched the Independent Lens documentary Precious Knowledge. The film takes place in Arizona and shows how a group of students, most of whom are of Latinx descent, become empowered through the curriculum once they start learning about the history of themselves. Even with the positive effects the program had on the students, conflict soon arose between politicians and the students. Despite what the ban claims, students within the documentary say the class had only helped them understand themselves better and unify. Students at Summit Rainier joined the class with the same objective. When the students in Arizona heard that local politicians, including Mr. Horne, were advocating to ban the course by law, they began protesting. They even caught wind of the local politicians having a meeting to discuss the ban and went into the building to protest for their right to the education that made a difference in their lives. When asked why Ethnic Studies was important, Escobar said, “What builds America is diversity; and, if you have diversity, there’s history behind diversity.” Escobar explained how if the United States was just a white country, then its history would mainly be about white history. In most schools, the curriculum is still mainly about the dominant culture’s history. For the people of color who crucially influenced American history, their stories weren’t told because they aren’t as powerful as the dominant culture. Ethnic people were totally disregarded from U.S. history, and Ethnic Studies curriculum seeks to address that imbalance. The Summit News team will be following this class throughout the year. Featured image (at the top of this post): The Ethnic Studies teacher, Angel Barragan, hosted an event called Why Ethnic Studies Matter when he was president of the Ethnic Studies Student Organization at San Francisco State University. PHOTO CREDIT: Angel Barragan.